The flu vaccine administered each fall is based on an educated guess by scientists and public health physicians. The virus mutates and changes every year and the goal is to prepare and distribute a vaccine tailored to the current year’s flu. Some years there are more than one vaccine and more than one flu. It appears the vaccine administered last fall did not hit the mark as wide-spread flu out breaks of the most serious strain, influenza A, are reported in over 50 % of the nation, including Michigan. 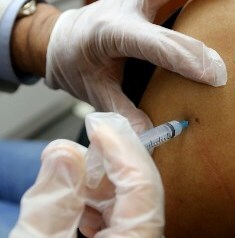 The Center for Disease Control is reporting this season’s numbers are approaching the very busy 2012-2013 flu season. By comparison, last year’s numbers were relatively low. Despite the lack of a perfect match, public health officials and physicians are still recommending people who have not had a flu shot yet to get one. The timing of flu outbreaks can vary widely throughout the country and localities that that experienced an early outbreak could see it come back again before the season is over.